Sometimes when things here on Earth get too depressing or overwhelming, it helps me to remember that we are but small, insignificant specks in the vastness of our galaxy. And what better way to get that perspective than to watch a movie about space? 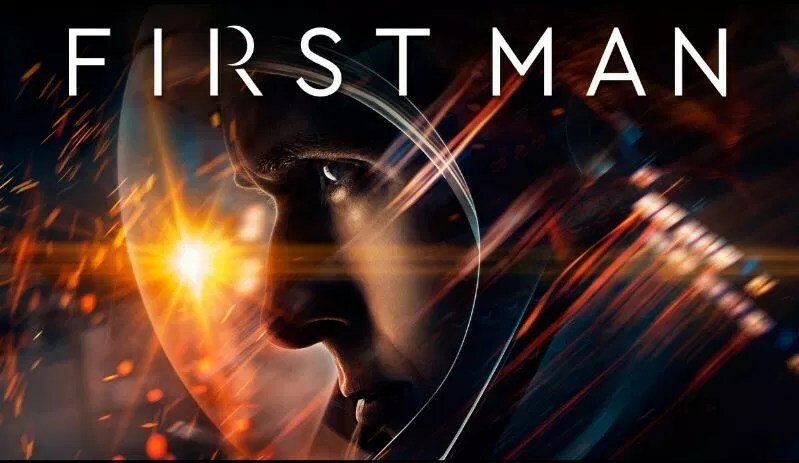 First Man – While I of course knew about Neil Armstrong’s historic first steps on the moon in 1969, I didn’t know anything at all about his private life or the rest of his career. Director Damien Chazelle re-teams with his La La Land star Ryan Gosling (who plays Armstrong) in this new-to-the-Box biopic about the laser-focused astronaut. Having more context about the devastating personal and professional tragedies Armstrong endured makes his accomplishment all the more extraordinary. Interstellar – Things get trippy and really complicated near the end of this future-set sci-fi thriller from Christopher Nolan, and that turned some people off. But I am all about movies that make me think, and this one kept me wondering, questioning and turning around theories in my mind for days. Matthew McConaughey, Anne Hathaway and Jessica Chastain lead an all-star cast in this story about secret group within NASA that’s trying to find another planet for humanity to relocate to, as our own is about to go kaput. Gravity – In this seven-time Oscar winner from Alfonso Cuarón, Sandra Bullock and George Clooney play astronauts who may or may not be stranded in the depths of space after their mission goes awry. It’s a tense but gorgeous meditation on resilience and determination. The Martian – Based on the best-selling novel by Andy Weir, director Ridley Scott weaves a tale of human survival … on Mars. Matt Damon plays an astronaut who was accidentally left behind on a mission to Mars (his crew had a legitimate reason to believe he was dead) and who uses every single skill and bit of knowledge at his disposal to build a new life and buy himself time — while his guilt-ridden peers attempt to persuade The Powers That Be to execute a rescue mission. Moon – This unforgettable indie is a showcase for the incredible Sam Rockwell, who plays an astronaut who begins questioning pretty much everything as he nears the end of his three-year stint on the moon — alone. That’s right, he’s been all by himself for that whole time, which may or may not have led to his mind playing tricks on him. If you’ve never seen (or heard) of this one, check it out. It’s directed by the David Bowie’s son Duncan Jones and was critically adored when it came out in 2009. What’s your favorite space movie? The 2019 Academy Award Nominations Are HERE! © 2017, Redbox Automated Retail, LLC. All rights reserved. Redbox and its associated logos are trademarks of Redbox Automated Retail, LLC. Copyright © 2017 Food Blog. All Rights Reserved.